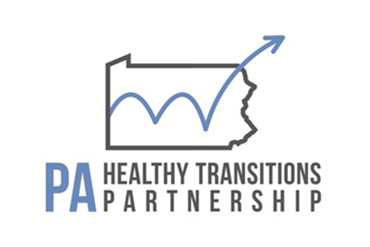 The PA Care Partnership values the philosophy of having youth and young adult members as equal partners at all levels of their decision making related to their care and treatment. This starts in the home and with the individuals they identify as family and progresses all the way through work and decision making in both the private and public sectors. The idea of "Nothing About Us Without Us", has been a driving factor in the work we do. In order to enhance the learning and abilities of youth and young adult partners, training and education are vital. As such training opportunities are listed below. 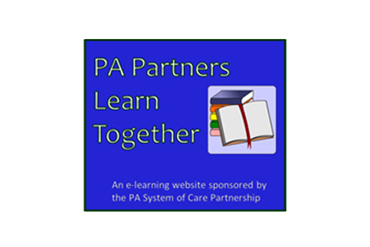 The PA Care Partnership offers a variety of Technical Assistance and Training opportunities provided by a variety of youth organizations, including our partner Youth M.O.V.E. PA. Many of these opportunities are provided at no cost to both System of Care and Non-System of Care counties throughout Pennsylvania. Below are some of the Technical Assistance and Training opportunities available. Youth and Young Adult Roadmap (YYARM) training and coaching is available to help youth and young adults navigate the changes needed to move into adult living, enhancing their existing skills. We can train people to use the Roadmap tool and to train others on its use. We will provide you with the Roadmap books. These are used by the youth/young adult participants and remain with them. The cost is approximately $24.00 per book. Coaching can also be provided, which is working directly with a small group, preferably 6 to 8 young people, in order to work through the Roadmap tool. PMHCA/youthMOVE-pa/Drexel BHE Youth Leadership Training was developed collaboratively, using Youth MOVE lived experience and Drexel Behavioral Health Education’s curriculum writing expertise. To encourage leadership opportunities for youth, this training shares perspectives, advice and strategies gathered from young adult leaders with disabilities, families, school staff, and other leadership experts on what makes someone a leader and how best to support leadership development in youth. This is a one-day training that can be delivered either in a full day framework or in two half-days. It will be presented by people with lived experience. Social Marketing – What is That? is a presentation designed to help groups of youth and young adults determine their message and how to get it across to people. Development of a Request for Proposal to become Independent Organization. When we say “technical assistance”, we refer to activities that will assist an organization to reach its goals. Technical assistance (TA) can be tailored for each organization. Here are examples of things we can offer. When a professional organization requests training, a charge will be established. If a Youth MOVE chapter or a small non-profit or youth/consumer led group has funds available, fees will be negotiated based on ability to pay. Travel reimbursement is requested.